Please return to place your orders then! Tickets for the 2019 Women’s Strength Summit are still available here! We are an athletic brand based in Tacoma, Washington designed to elevate the voices of marginalized communities in the fitness space. With an intersectional lens, our work amplifies all womxn in the health and wellness community to make strength inclusive to all. Fear Her Fight means igniting and reinforcing intersectional feminism in the strength space. Fear Her Fight is about creating opportunities for athletes, it's about dismantling oppressive systems, it's about creating social political change in the fitness community. Fear Her Fight is about supporting marginalized people, the LGBTQ and BIPOC communities and empowering all to take up space. It's about promoting strength for all, including those who don't fall into the gender binaries. This brand honors all levels of health and wellness, etc and has never and will never be prejudice toward any person in their profession. Most importantly, FHF comes from a manifestation of anger to make us stronger, more aggressive, supportive athletes in and out of the gym. Reinforcing and igniting an intersectional lens in the strength world is what we're here for. 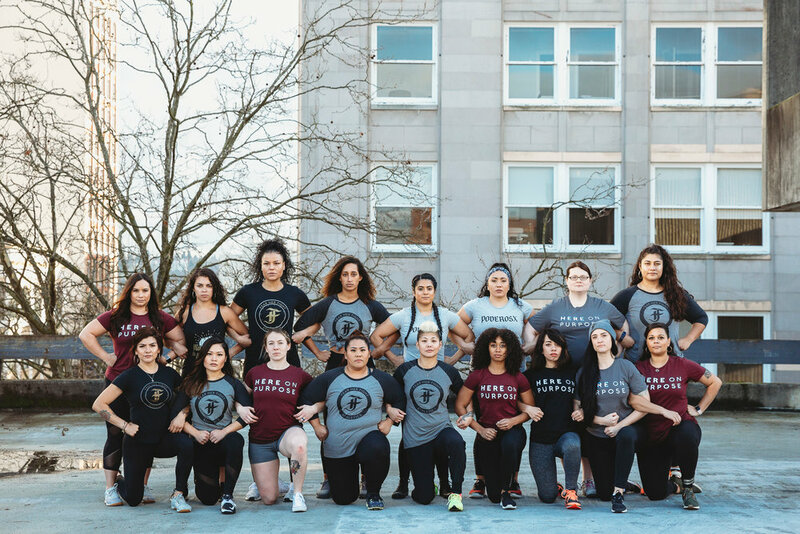 Fear Her Fight supports womxn showing up differently and authentically and will always work toward being more inclusive in the fitness community.